What is it about the smell of evergreen that signals delightful and joyous holiday moments? 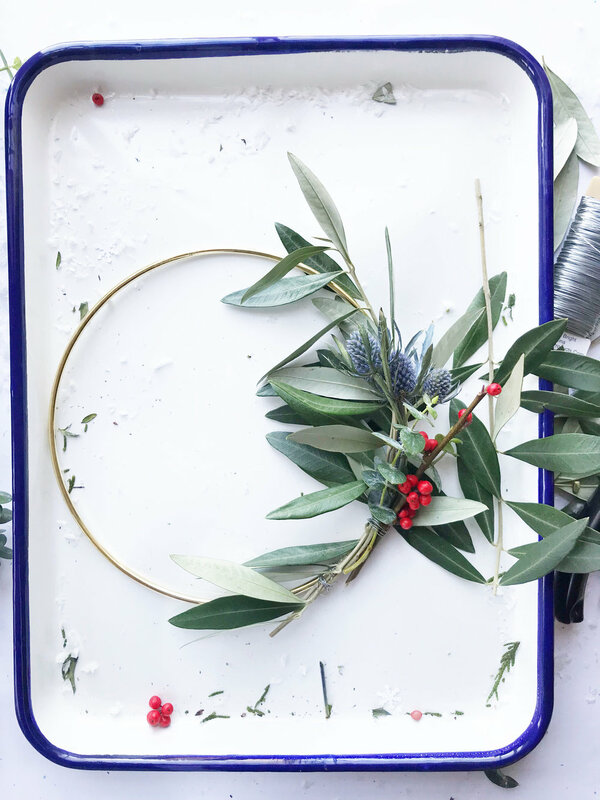 There is something about bringing nature into our homes that feels celebratory and a wreath at our front door reveals our home is ready to soak in the happiness of now. However, finding a wreath that does a job of shouting a warm holiday hello is hard to find. Unless we create our own. And it’s simple with just a few items. I call these my little minimal darlings as they are very easy to make with very few supplies. 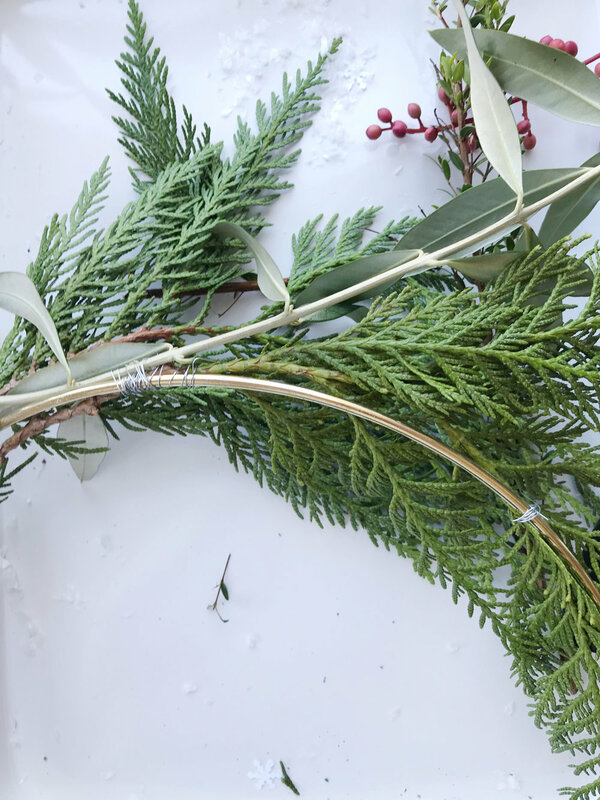 Step 1: Place the macrame ring on a flat surface and plan out the floral design with the winter greens. Cut the greens as necessary to fit the design. Step 2: Pick the greens that will go at the very back of the design and wind the floral wire around a bunch of greens. Place the bundle on the macrame ring and twist the wire around the ring securing the greens to the ring. Snip the wire when the bundle is secure. 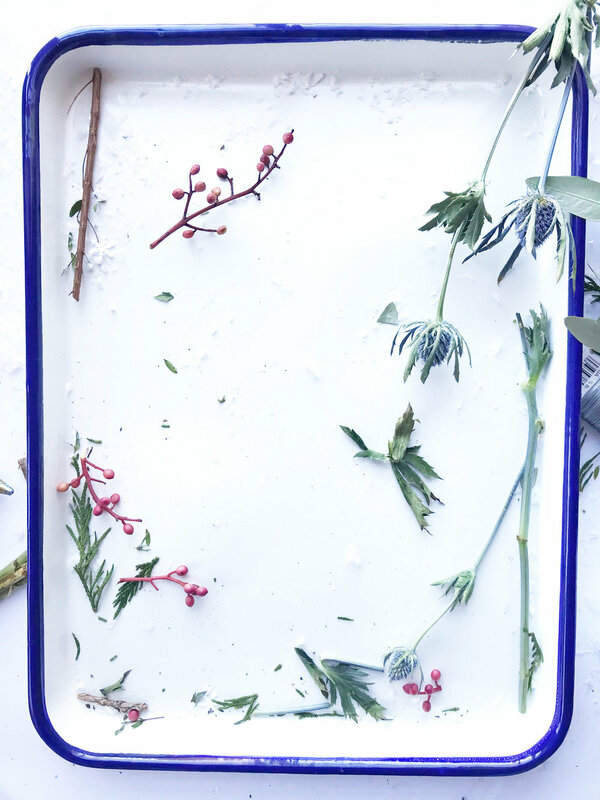 Step 3: Bundle up the next group of greens and repeat until your wreath is complete. Step 4: Tie a ribbon to the macrame ring and hang from the front door or wherever a little holiday spirit is needed. Stand back and watch as your neighbors envy the beautiful, holiday hello adorning your front door or entryway.